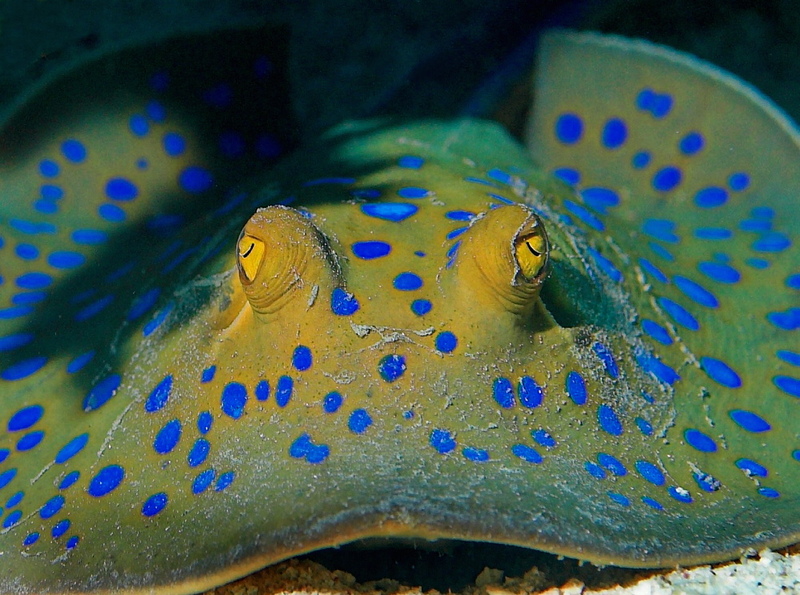 Generally found in temperate, shallow waters, these flat fish enjoy seeking refuge in the sand. Their bodies are supported by cartilage rather than bones, which makes them very flexible. Not only are these creatures nocturnal feeders, but they are also carnivores. There are both freshwater and saltwater rays. Shown above are Black Diamond stingrays (Potamotrygon leopoldi), a type of freshwater river ray, endemic to the Amazon River.